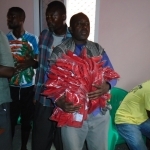 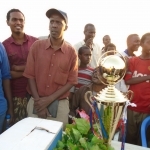 The master of the ceremony Mr Ismail District social affairs of Afgoye District expressed the important of sports, community integrations and role of youth and administration in fostering sports and the general challenges facing sports for the last two decades. 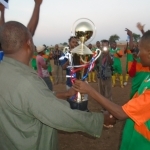 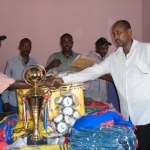 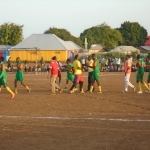 SOYVGA Executive Mr Abdikadir Mohamed Nur Congratulated all parties who contributed to the success of the events and endless efforts and time they contributed starting from the beginnings up the last final tournaments ‘day specially the District social affairs, District security officer, Afgoye District foot ball federation chairman, Afgoye District chair women spectators and the four teams participated this valuable youth sports integration and cohesion tournament from four Division of Afgoye district if therefore say thanks to all. 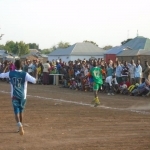 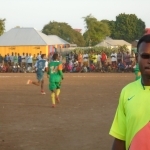 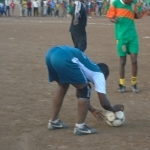 One of the spectators of the tournaments Mr Aweys Omarow said I cannot control my emotion because of as former foot ball player how this tournament organized and disposed transparently could had never happened for the last decades in lowershabelle and inspired more expectation to the community integration for peace promotion togetherness in such overcrowded district playing ground and encourage such event should be delivered in whole other areas of the region and continuing as ongoing long term activities. 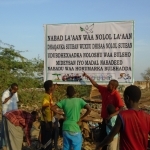 Bill board’s covey Arts, Sports, and Culture was erected by (SOYVGA) with Approval of stake holders and collaboration of Afgoye District authority and community mobilizes, mapping of specific sites of fixing the prepared bill boards in specific strategic places was approved by the local authority in order to make the community clearly read and understand the messages. 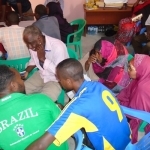 Strengthen creative ideas, inspire citizens, and offer hope that opportunities exist and matter to the community. 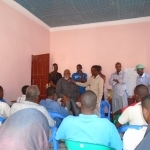 More over this project gave us a hope restore and showed that there is a transparency and the community have equal rights and good ownership, The will also create stability as now started from this closing grant Quotes from young participants Mr. Ismail Ali. 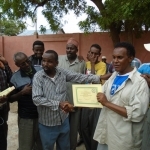 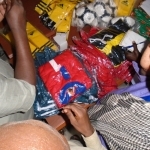 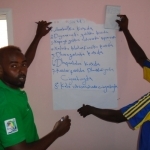 -Promoted capacity and skills of Afgoi youth artist in peace building within Afgoi district.